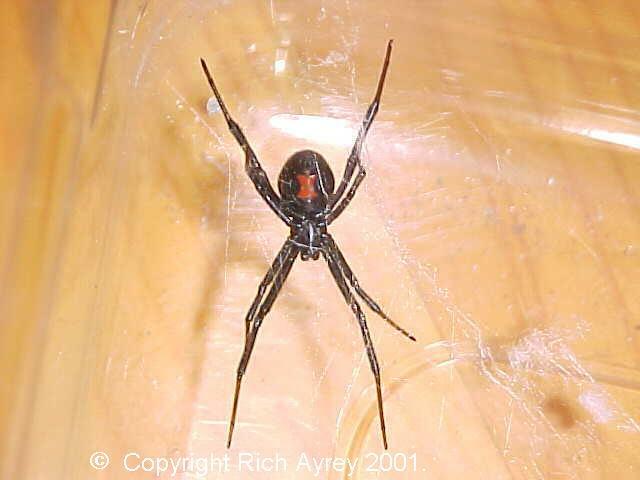 Latrodectus hesperus is the Southern Black Widow Spider. These spiders are quite common in Arizona, particularly around human habitation. This one was living in a garage in Flagstaff, Arizona. The elevation of that garage is 6500 feet above sea level. This site copyright Rich Ayrey 2008-2009. Arizona Scorpion page created 01/12/08.